You will be transferred to airport for your flight for Varanasi. Varanasi, the 'eternal city' is one of the most important pilgrimage sites in India and also a major tourist attraction. Situated on the banks of the sacred Ganges, Varanasi has been a center of learning for over 2000 years. Besides being a pilgrimage center, it is considered an auspicious place to die, ensuring an instant route to heaven. 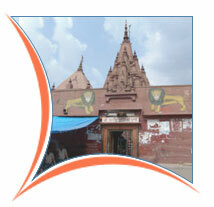 Varanasi is still a center of learning, especially for Sanskrit scholars, and students flock here from all over India. The old city of Varanasi is situated along the west bank of the Ganges and extends back from the riverbank ghats in a winding collection of narrow alleys. They're too narrow for anything but walking and tall houses overhang the picturesque, though hardly clean, lanes. The town extends from Raj Ghat, near the bridge, to Asi Ghat, near the university. On arrival you will be met by our representative and transferred to Hotel Taj Ganges for overnight stay on bed and breakfast basis. The Taj Ganges is a modern hotel, close to the city center and a member of the Taj Group. Facilities include swimming pool, tennis court and shopping, and there is the choice of local and western cuisine. Afternoon you will proceed for excursion tour of Sarnath, only 10 km northeast of Varanasi, is home to one of the major Buddhist centers. Having achieved enlightenment at Bodhgaya, the Buddha came to Sarnath to preach his message of the middle way to nirvana. Later Ashoka, the great Buddhist emperor, erected stupas and monasteries here. Overnight at the Hotel Taj Ganges. Early morning proceed for dawn boat ride on the river Ganges. At dawn, the city and the river are coming alive, the light is magical and Varanasi looks an exotic place. 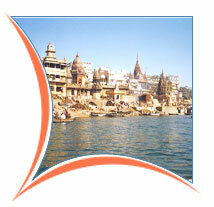 Asi Ghat : It is one of the five special ghats which pilgrims are supposed to bathe from in order and on the same day. The order is Asi, Dasaswamedh, Barnasangam, Panchganga and finally Manikarnika. Durga Temple : It is commonly known as the Monkey Temple due to the many monkeys that have made it their home. It was built in the 18th century by a Bengali maharani and is stained red with ochre. The small temple is built in North Indian Nagara style with a multi-tiered shikharas (spires). This temple is also closed to non-Hindus, however, you can look down on the temple from a walkway at the top. Kashi-Vishwanath or Golden Temple : Dedicated to Vishveswara Siva as the Lord of the Universe, the Golden Temple is across the road from its original position. Aurangzeb destroyed the original temple and built a mosque over it - traces of the earlier 1600 temple can be behind his mosque. The present temple was built in 1776 by Ahalya Bai of Indore, and the gold plating on the towers was provided by Maharaja Ranjit Singh of Lahore. Next to the temple is the Gyan Kupor Well - the well of knowledge. Non-Hindus are not allowed into the temple but can view it from upstairs in a house across the street. 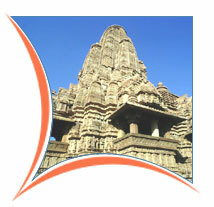 In the afternoon you will be transferred to the airport to board flight for Khajuraho. On arrival you will be met by our representative and transferred to the Hotel Taj Chandela for overnight stay on bed and breakfast basis. The hotel, set amidst 11 acres of landscaped gardens, is just 1 km from the world famous temples, and offers a swimming pool and fitness center, besides two restaurants and bars. Overnight at the Hotel Taj Chandela. Khajuraho was once the capital of the Chandela Rajputs of Bundelkhand. It is home to the world famous 10th century Khajuraho temples. These temples represent some of the most exquisite specimens of medieval Hindu architecture and sculpture in the country. In the morning, you will be visiting Eastern and Western group of temples. Later transfer to airport to board flight for Delhi. On arrival in Delhi you will be met and transferred by our representative to the International airport for your onward flight. Alternatively you could choose to fly to Agra and continue tour.